Danny Trejo is a former convicted felon, who is now a noted Hollywood character actor, having been featured most recently in Anchorman, Once Upon a Time in Mexico, and The Devil's Rejects. He has also appeared on such popular television shows as Desperate Housewives, King of the Hill, and Alias. 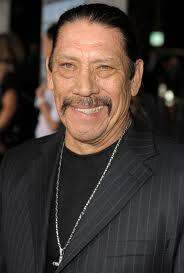 From the time he was 14-years old, Danny Trejo was a self-proclaimed professional criminal. It took ten years of life behind bars in half a dozen prisons before he finally discovered the key to change. In 1969, Danny had just been released from two months in the hole in Soledad prison, when he became involved in a 12-step program and committed to take personal responsibility for his future.